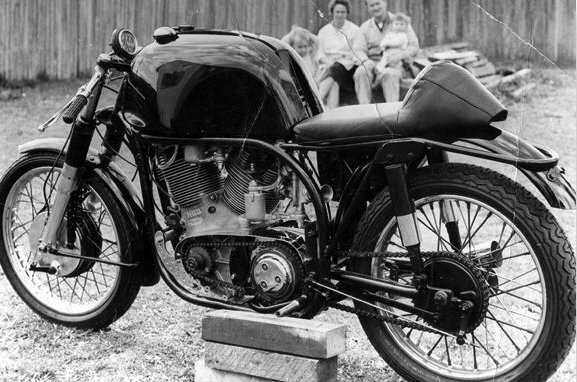 In the world of the Vincent Specials, you might come across a bike named Corish-Vincent; I say, “might” as although this name is respected and well known in the racing history of Australia, it has not broken through the other side of the world. This fact is certainly a good reason to echo the following story, which started in 1950 on Bathurst racing track. 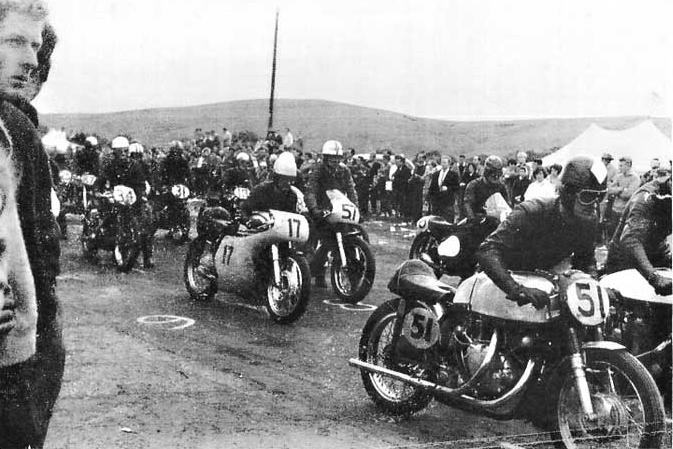 Keith Corish, who came as a spectator, had witnessed a fierce duel between Hinton on his works Manx and McAlpine on his Black Lightning. Hinton was faster in the corners and McAlpine faster in a straight line; both setup new lap record during the meeting. 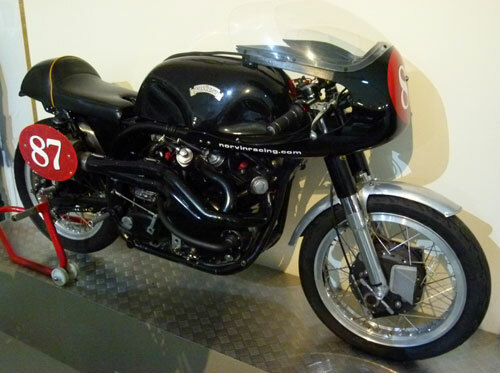 According the legend, it is how Corish first thought about the Norvin concept, combining the torque and power of the Vincent with the road handling skills of the Norton. 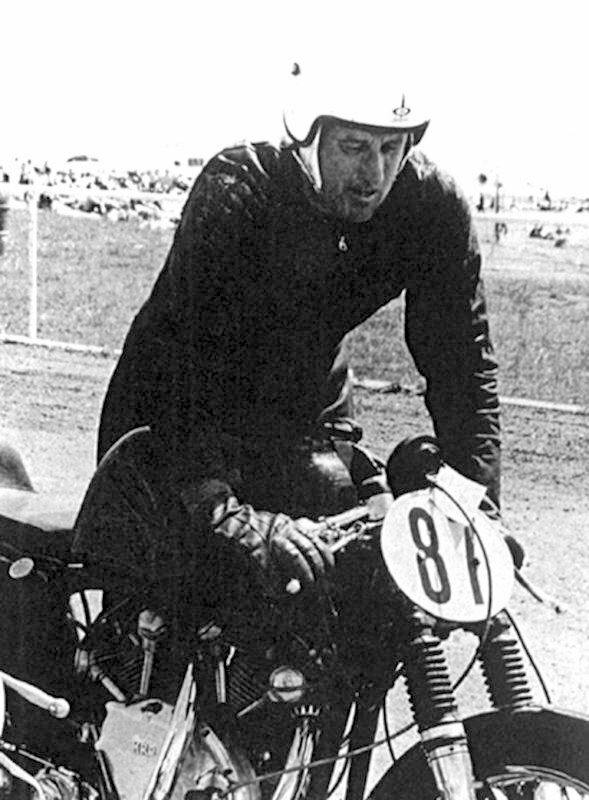 But by the time Corish put his original idea in practice, John Surtees already made his own; so, although Corish did not build the first Norvin per se, he can certainly be credited to have successfully championed the Vincent name and the Norvin concept across Australia. The event, which re-ignited his original idea, took place in 1964 when Corish saw in action Arthur Pimm’s Norvin at Bathurst. Back home, Corish, who already acquired two Vincent (a B and a C), had only one idea in mind: build his own Norvin. 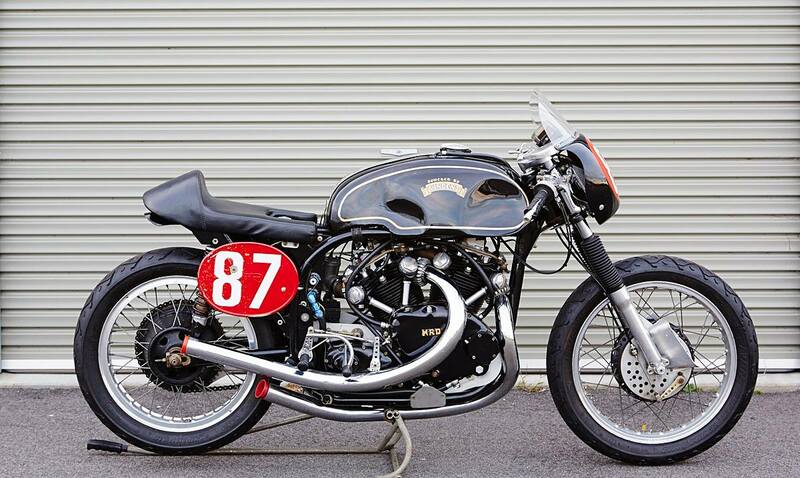 Corish used the Rapide Series C engine that was already upgraded with Amal GP carburetors, ported heads and Mk II cams, and installed it in a Norton International frame. The Inter model was chosen over the Manx because it was stronger and seen as more capable of handling the 85 bhp of the engine. The wheels came from a Manx for the rear and a BSA Gold Star for the front. 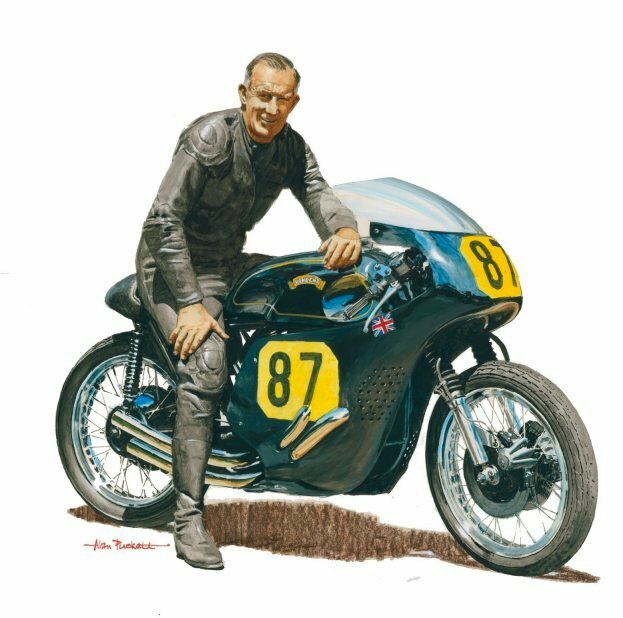 Corish’s friend, Eric Debenham, was selected to race the bike and together they made various improvements to make the bike more competitive, starting with the clutch, which was an early source of worries to handle the torque, it was replaced by an AMC bonded steel unit. The brakes were upgraded twice as the original Gold Star setup lasted only 2 meetings, and its successor, a Manx front Twin Leading Shoes did just a bit better with 5 meetings according to the Bike Book (1). Eventually, a double disc brake was fitted in 1969 at the front at the same time than a TLS from an AJS 7R at the rear. 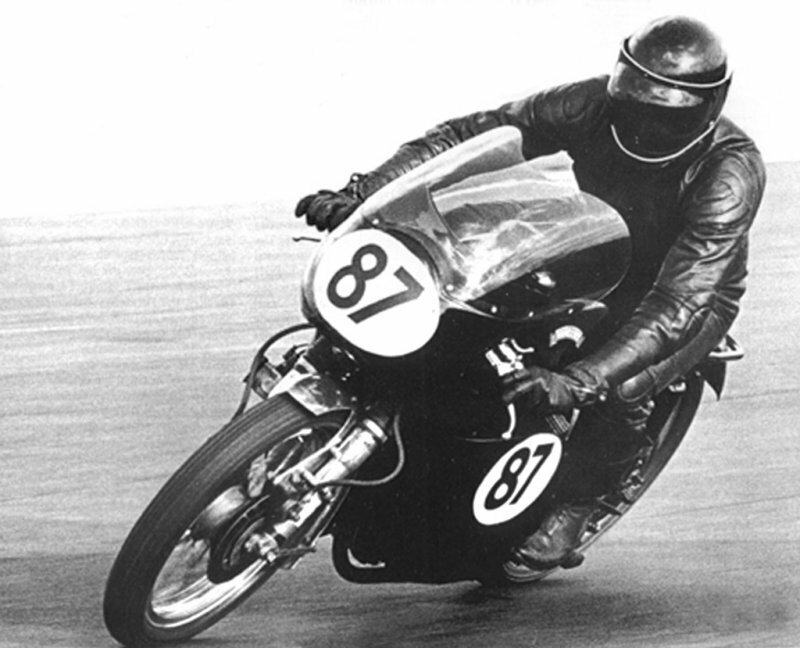 Mk I was raced between 1965 and 1969 until Keith Corish decided to retire from racing and put the bike for sale to focus exclusively on his business. Lindsay Nourish bought the bike that remained hidden away in his private collection until Colin Will acquired it in 2002. 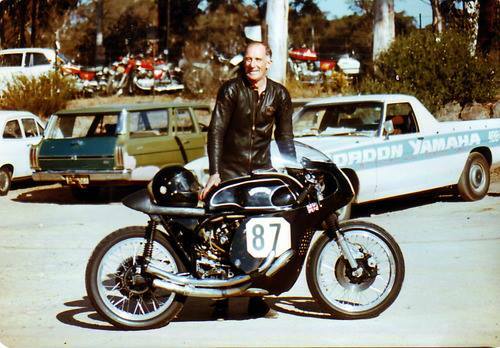 “When Colin bought the bike,” says Ken Phelps, “he rang me to come and have a look. The previous owner had removed and sold the original rear wheel and gearbox. These had been replaced with other items. In the time that Colin had it, he damaged the engine, so that was sold off and replaced with a new one. 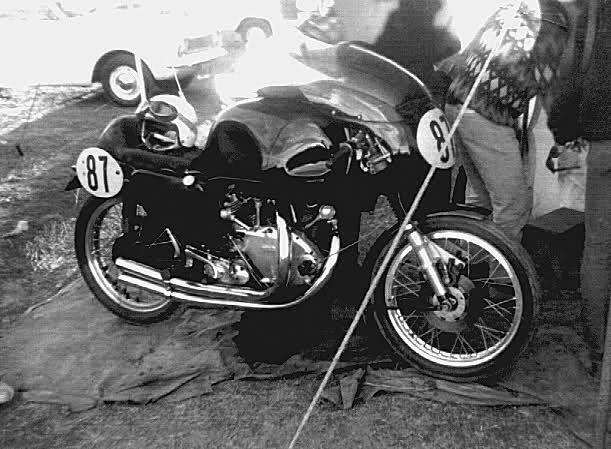 The front brake was substituted with Manx Norton 4LS unit”. It is possible that that the frame was changed by a new Macintosh item, but there is no evidence confirming this point. 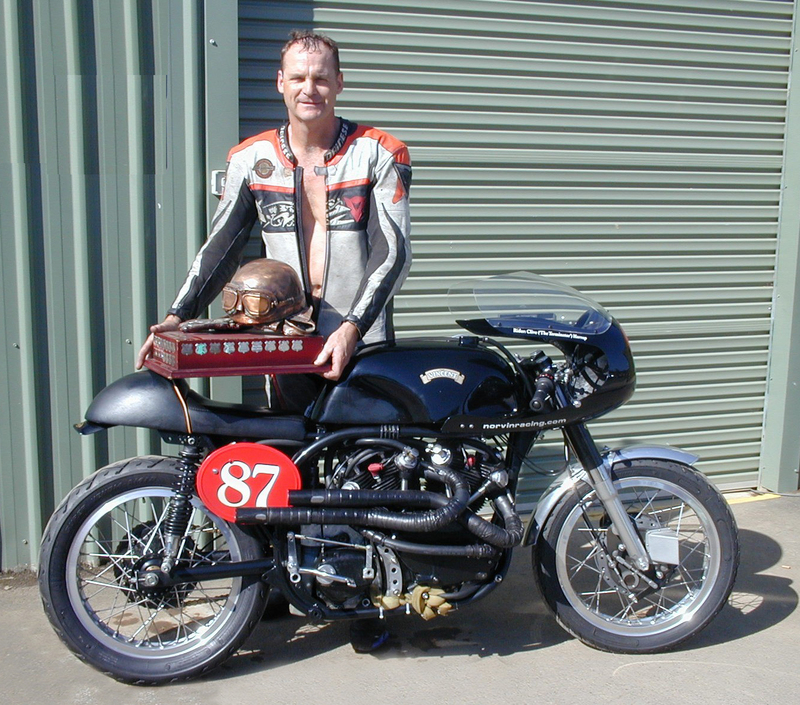 Between 2003 and 2006 Clive Harrop raced “the #87,” followed by Stuart Lolly in 2007 and 2008. When Colin passed away in 2008, the bike was acquired in 2009 by the Bathurst Motor Museum to be resold subsequently. 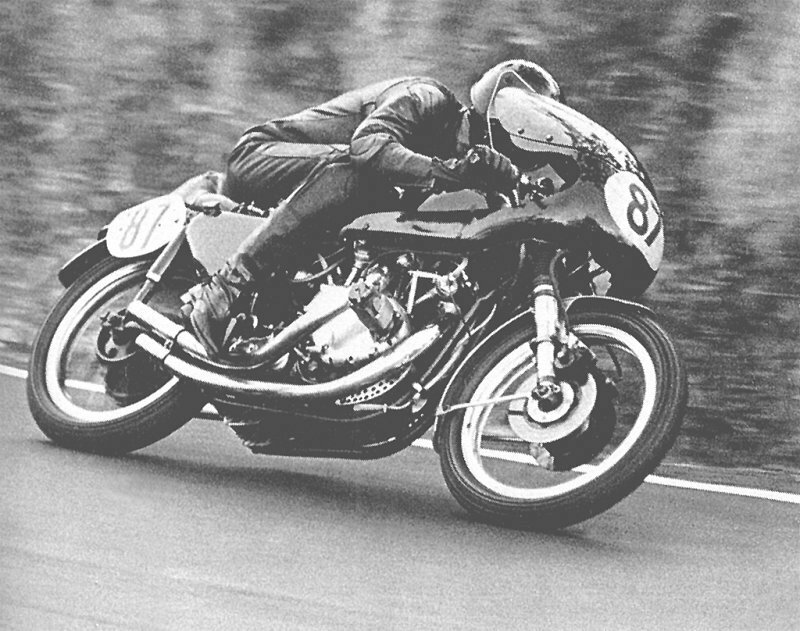 In 1969, Debenham had to find its own way to continue racing and started to think about his own bike, an evolution of Mk I that would incorporate his learning and experience from the past five years: Mk II. The bits and parts were collected from all over the world, starting from the crankcases coming from an Argentine 1948 Series B. Those were chopped in order to be matted with a Manx close ratio gearbox. The engine was rebuilt with a custom crankshaft, 13:1 compression ratio pistons, a Dolphin Motors ignition enabling twin spark and a Norton Commando diaphragm clutch. The lower tubes of the frame were open to lowering the center of gravity by 76 mm. When Eric stopped racing, he sold his bike to Wayne Tucker in South Australia. Wayne kept it for many years but has since sold it on and the bike has yet to surface again. Both MkI and MkII proudly wear the #87, which became one of the most successful and well-known racing bike in Australia’s motorcycle racing history. After five years of development, Eric Debenham improved the bike from 130 mph to 165 mph and was personally graded from a C to an A rider in only 2 years. I would like to take the opportunity to thank Ken Phelps and Adrian Braun, whose knowledge and availability helped me to sort out this story. Alan Puckett has immortalized Eric Debenham on Mk II with this watercolor painting. 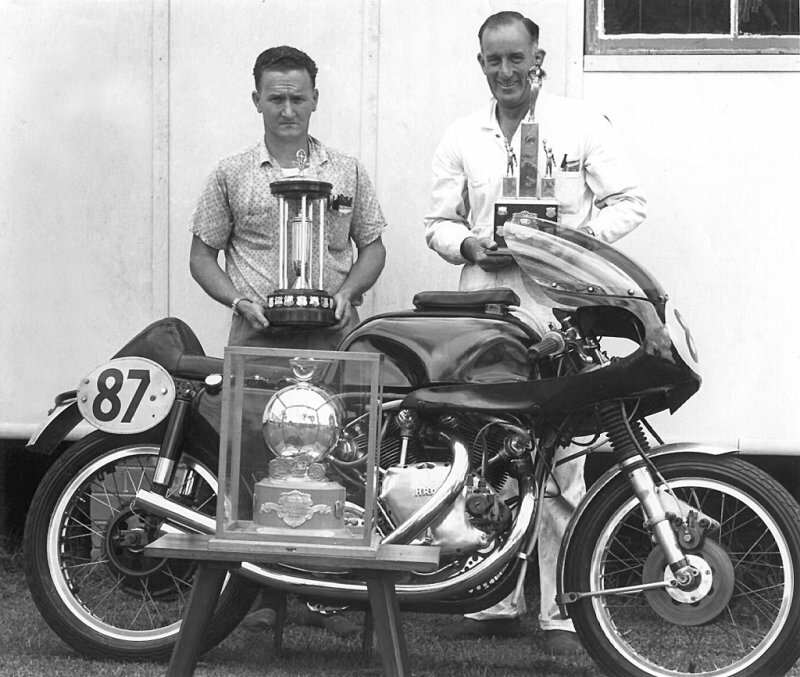 Here is Arthur Pimm with his Norvin (51); This is the bike that inspired Keith Corish to build the Corish-Vincent #87 in 1964. Mark I during its development in 1964. Keith Corish used a Norton International which was chosen over the Manx because more likely to handle better the 85 bhp of the upgraded engine. Eric Debenham with an early version of MkI, likely 64. MkI in a early stage of its racing activity. It is identifiable by the oil cap, which is on the front of the tank. MkI at the end of its racing activity, likely in 1969. A few details like the oil tank cap relocated at the back, silencers and the front fender help identification. Mk I with Keith Corish (left) and Eric Debenham, in 1969 after Bathurst meeting. Corish decided not long after to stop racing and sell the bike. Who can tell that he already this idea in mind with hiss frown on his face while Debenham is enjoying victory? Picture © The Bike Book. Eric Debenham with Mk I at Bathurst in 1969. Eric Debenham with Mk II at Bathurst in 1971. MkII: the picture that has inspired Alan Puckett’s watercolor painting presented at the top of the page. MkI as displayed in the Bathurst Motor Museum. 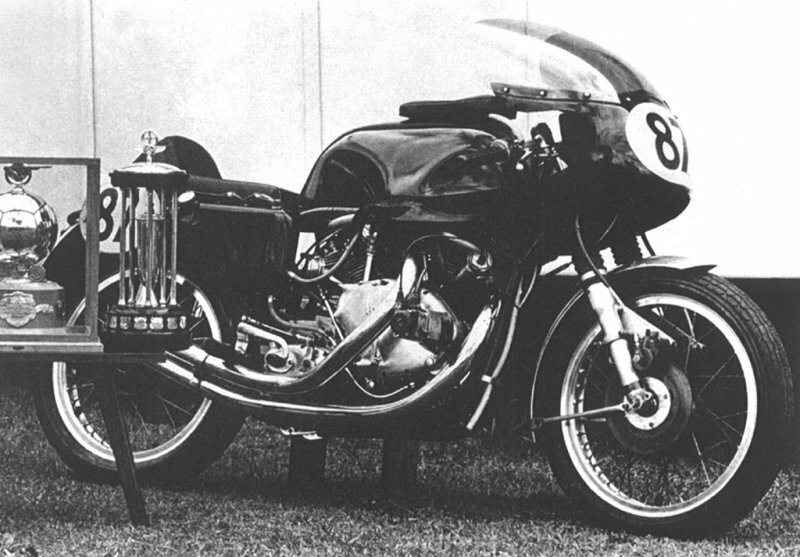 Note that the bike has been heavily modified since Debenham’s racing period. Clive Harrop raced MkI between 2003 and 2006 that was owned at that time by Gordon Will. The previous owner significantly modified the #87. Ken Phelps missed MkII when it was for sale so he decided to build his own replica. An already 30 years old short documentary at the time that what we call now “classics” were already classics.